A study from The Journal of Pain found that drinking beer, besides giving you a pleasant buzz, can actually make you feel less physical pain. Study author Trevor Thompson, PhD, told The Sun that alcohol could even be “compared to opioid drugs such as codeine,” and that “the effect is more powerful than paracetamol” (comparable to Tylenol). According to their findings, drinking two beers is more effective at relieving pain than taking painkillers. For their research, the scientists—from London’s Greenwich University, conducted a total of 18 experiments in which 404 participants were given either an alcoholic or non-alcoholic beverage. Next the team administered 13 pain-threshold tests as well as 9 pain intensity ratings. What they found was that alcohol had a significant analgesic effect, meaning it greatly reduced pain. The tipping point was a legal driving blood alcohol content (BAC) limit of .08. Although the effect was clear, the research team couldn’t determine whether the pain relief came from an effect on pain receptors or just maybe a lowering of anxiety, which could lower perception of pain. Regardless of exactly how beer works to ease pain, the researchers did note that people who suffer from chronic pain tend to drink more due to the pain-dulling effect. 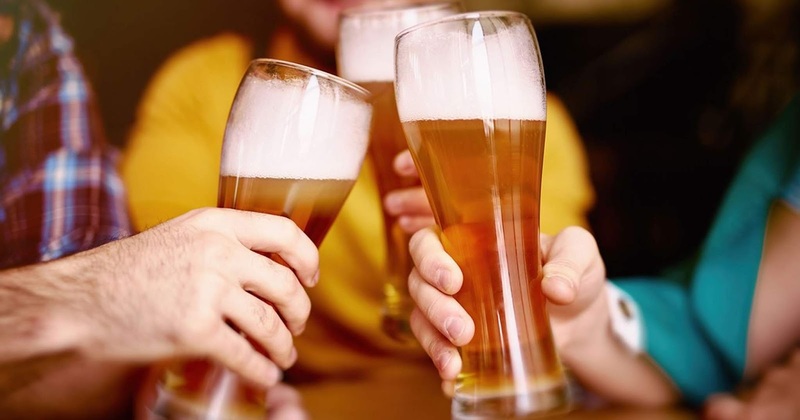 While a few drinks a day could dull your pain, the study caution that there are numerous unhealthy effects that may not make beer your go-to analgesic (in short: keeping your drinking in check is the way to go). And as with any study, more research is likely needed to confirm the results.